Anorith in game: 3,132 Who? Important notice! Pokemon Anorith is a fictional character of humans. Anorith (Japanese: アノプス Anopth) is a dual-type Rock/Bug Fossil Pokémon introduced in Generation III. It is resurrected from a Claw Fossil and evolves into Armaldo starting at level 40. 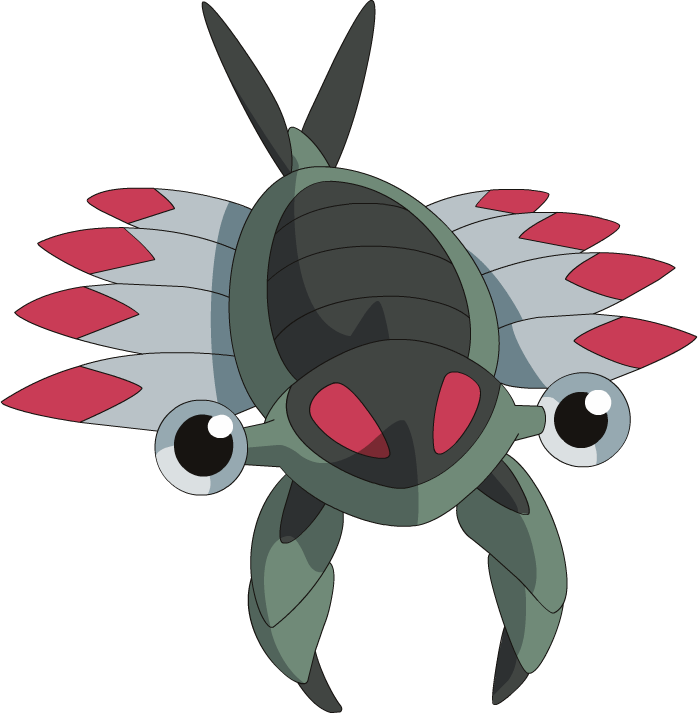 Anorith is a greenish-gray, arthropod Pokémon, resembling an anomalocaris. A stalk extends from either side of its head, with large, spherical eyes at the tips. The middle of its head is black with two red, teardrop-shaped markings, and an x-shaped mouth is visible on the underside of its torso. Beneath its head are two large, segmented claws that serve as weapons and are used to capture prey. On each side of its body are four white appendages with red tips. These wing-like projections are used to propel Anorith through the water. Now extinct in the wild, it lived in the seas of ancient times. It is still extant under the ownership of Trainers through revival from Claw Fossils. 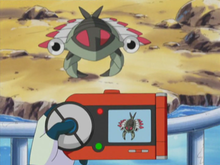 Its first appearance was on a small island to the east of Hoenn's mainland in Where's Armaldo? where it was being studied with the other Fossil Pokémon from Hoenn. An Anorith appeared in the opening of Lucario and the Mystery of Mew. More Anorith were resurrected and studied by the scientists in Oreburgh City in Wild in the Streets. AG102 Anorith May's Pokédex Anorith, the Old Shrimp Pokémon. Anorith once inhabited old seas, and is believed to have used its two well developed hooves to capture prey. Ruby calmed an Anorith and Lileep in a museum by intimidating them when he saw that no one was looking in the chaos. However, Wallace of the Sootopolis Gym was, and his eye for talent led him to acknowledge the boy's right to be his disciple. It was resurrected from a fossil using the power of science. It swims by undulating the eight wings at its sides. They were feet that adapted to life in the sea. It is a kind of Pokémon progenitor. It uses its extending claws to catch prey hiding among rocks on the seafloor. An ancestral Pokémon that lived in the ocean. Over time, its eight feet transformed into wings. Moves marked with a superscript game abbreviation can only be bred onto Anorith in that game. 51%-100% HP Did you know? I'm an ancestral Pokémon. 26%-50% HP Now what? Why is my HP reduced to half? Level up Yes! I leveled up! My claws feel fantastic! 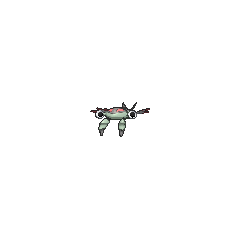 For other sprites and images, please see Anorith images on the Bulbagarden Archives. 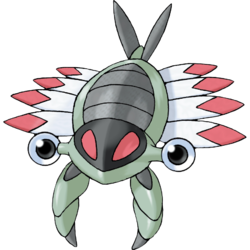 Anorith and its evolution are the only Pokémon with the Ability Swift Swim that are also weak to Water. 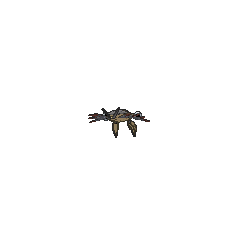 Anorith appears to be closely based on an Anomalocaris with some characteristics of a trilobite. It greatly resembles brine shrimp as well, having similar eyes and feather-like protrusions on its sides. Anorith may be a combination of Anomalocaris, anorthosite, and lith (rock or stone). Anopth may be a combination of Anomalocaris and arthropod. Mandarin Chinese 太古羽蟲 / 太古羽虫 Tàigǔyǔchóng Means "Immemorial feathered bug"